Cooking at home does not automatically guarantee a weight loss friendly meal.As a result, adding ingredients can transform a healthy dish into one that makes the scale soar. Stay on track. In order to help succeed with New Year’s goals to slim down and get fit, here’s some advice. The nation’s top nutrition experts, reveal common cooking and baking ingredients to ban from your kitchen. Artificial Sweeteners-Can be 700 times sweeter than natural sugar. Cheap Vegetable Oils-Highly processed soybean, corn oil, and cottonseed oils. Food Coloring-Artificial food dyes have serious side effects. For instance, especially in children. Margarine-Margarine contains heart-harming trans fats. Made with processed oils and above all are pro-inflammatory. Reduced Fat Mayonnaise-Unhealthy and harmful ingredients, namely added sugars, vegetable oils, and artificial preservatives. Conventional Peanut Butter-Conventional peanut butter has fully or partially hydrogenated oils. Basically these are unhealthy trans fats. 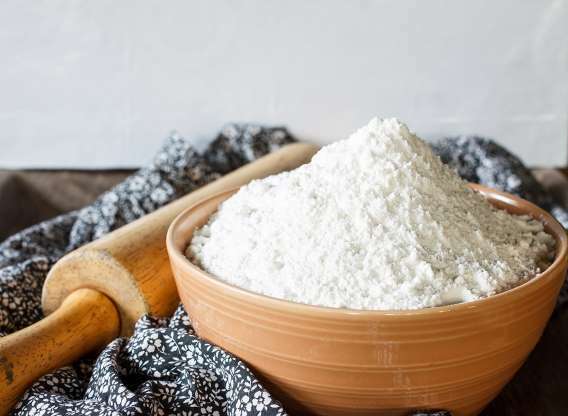 Bleached Flour-All-purpose flour has bleach chemicals that are harmful. Gluten-Free Foods-Are not necessarily low calorie or fat-free. Unless gluten-free foods are for medical reasons. Gluten-free products to lose weight is not effective. Certain Milk Alternatives-Commonly used as a thickener or stabilizer, Carrageenan, is an indigestible polysaccharide extracted from red algae. Quick-Cooking Oats-Oats are super healthful containing soluble fiber and minerals like calcium. Highly processed quick-cooking oats, however, are a different story. Flavored Yogurt-“healthy” desserts and smoothie recipes sometimes call for flavored yogurt. However, reduced-fat flavored yogurts are not health food. Corn and Simple Syrups-Use maple syrup or honey instead. Maple syrup and honey have antioxidants and antibacterial properties. Agave-Marketed as a healthier alternative to sugar. However, it contains more fructose than other well-known sweeteners. Taxing for cardiovascular systems. Also increases risk for metabolic syndrome. Fat-Free Salad dressing-Marinade or dressing, fat-free salad dressing isn’t a diet friendly pick. Loaded with sugar, salt and artificial ingredients. Caged Eggs-Pasture raised eggs over caged eggs are a better option. Pasture-raised chickens naturally have a more diverse diet and more nutrients. Egg Beaters-Containers of eggs are not a health food. Canned Beans and Vegetables-Cutting dinner on the table in half the time. However, they can be spiked with salt and syrups. No interested in cooking? Check out The Fresh Plan. Meals are fully prepared and calorie controlled. And contain none of these ingredients!